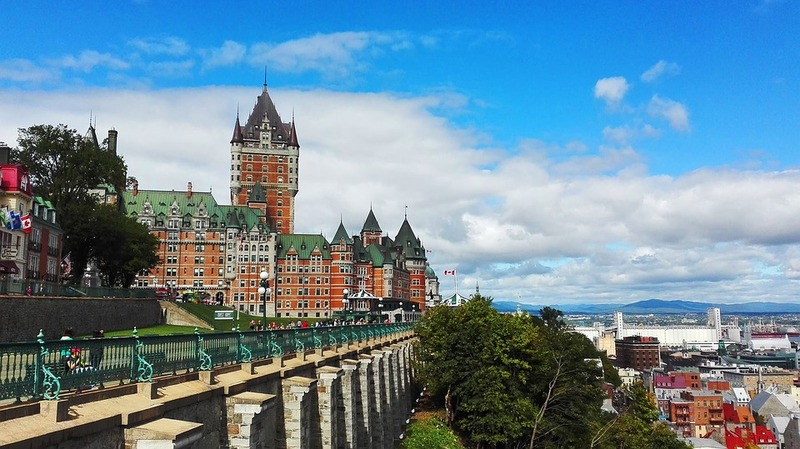 Quebec is a majestic city, and it can be overwhelming for a first-time visitor. There are so many sites to see and explore, experiences to encounter and dishes to try that it can be hard to know where to start. The winding cobblestone streets give off a distinctly French vibe in the heart of Canada, and it is easy to believe that you are exploring a totally different continent. This unique jewel is a traveller’s dream, and we have some top tips to help you make the most of your trip. This is the highest viewpoint in the whole of Quebec and can be reached by taking the elevator to the 31st floor of the Marie Guyart building. Once you ascend to the top, you will be rewarded by a bird’seye view of the stunning local sights, including the Plains of Abraham, the fortifications which still surround the Old Town, the St Lawrence River, and the Île d’Orléans. Formerly a prison constructed over 200 years ago, the Morrin Center has evolved to become the Morrin College—the first English-language facility of higher education in the whole of Quebec. You can still visit the site, and experience the haunting combination of the jail cells, which remain from the prison, alongside the labs of the college, and the majestic library which contains a collection of over 24,000 books. Canada may be most famous for the glorious Niagara Falls, but the Montmorency Falls are equally worth a visit. It sits proudly as one of the most beautiful falls in North America and plunges 83 meters into the basin of the St Lawrence river. If you are feeling brave, you can even take a walk along the top on a suspended footbridge, getting to the location by cable car. In the winter, the falls often freeze, and those with no fear will try to climb the mountain of ice which remains. The island of Île d’Orléans is an ideal day trip and is easily reached from the city centre. To fully explore its potential, it is recommended that you hire a car to allow easier access to every corner. The island is rife with history, from historical homes to ancient churches, and is also a paradise for foodies, with vineyards, strawberry and blueberry plantations, and an incredible range of restaurants and bistros to suit every palate. If you don’t have time to check them all out, you can even order delivery to your hotel after a long day from https://www.foodora.ca/city/quebec. One of the most fascinating opportunities in Quebec is the chance to discover and experience the Aboriginal communities. Just a short drive from the city lies the Huron-Wendat Nation, which offers a museum, hotel, and restaurant providing a varied and colourful history of the traditional ways of life enjoyed by the First Nation of Quebec. The site even offers an authentic reconstruction of an original Huron village allowing the archaeology to be brought to life.